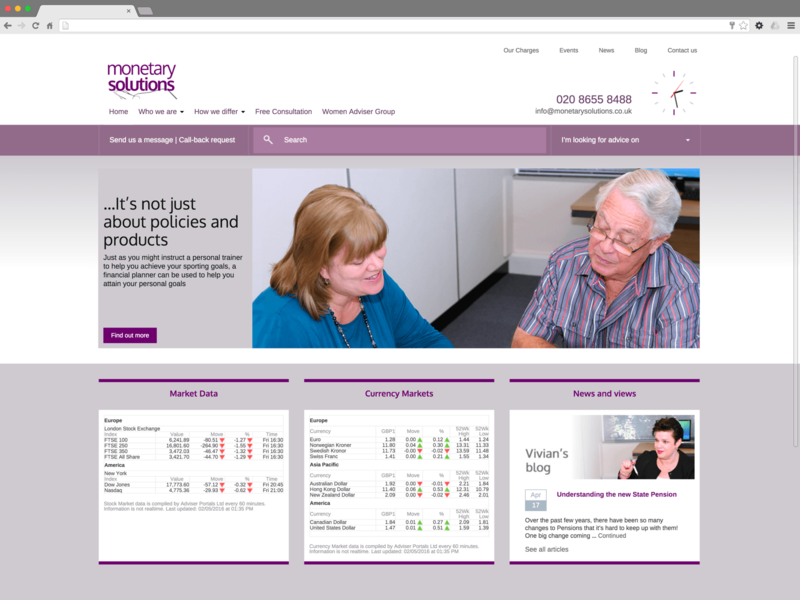 Monetary Solutions are a thriving firm of independent financial advisers, based in Purley but covering a wide area. Unusually for this industry, all of their advisers are female, which is their main USP amongst their peers. Their old website had become rather out-dated and a fresh start was needed. Working closely with the team to take into account their specific preferences for colour, design and layout, a bespoke WordPress theme was developed. They were already used to WordPress and found this relatively easy to use and maintain. The site was designed to provide easy access to a wealth of information about the main areas upon which Monetary Solutions advise on. A blog was also developed providing a way to provide customers and potential customers more information around the key matters concerning them at the time.